Andre Drummond and the Detroit Pistons will look to bounce back from a dreadful Game 1 showing as they travel to Milwaukee to take on Giannis Antetokounmpo and the Bucks at 8 p.m. ET on Wednesday in the 2019 NBA Playoffs. Milwaukee took Game 1 by a 35-point margin, jumping out to a 20-point first quarter lead and never looking back. Drummond was ejected in that game, while Blake Griffin (knee) sat out. Griffin remains questionable for Wednesday's game. Sportsbooks list Milwaukee as the 15-point home favorite, while the over-under, or total number of points Vegas thinks will be scored, is 215.5 in the latest Bucks vs. Pistons odds. Before you make any Bucks vs. Pistons picks, see the NBA predictions from SportsLine's advanced computer model. The model, which simulates every game 10,000 times, is crushing its NBA picks. It entered Week 27 of the 2018-19 NBA season with a sterling 294-242 record on all top-rated plays, returning more than $3,500 in profit to anybody following them. And it has been particularly red-hot on its A-rated NBA picks against the spread, entering Week 27 on a strong 77-62 run. Anybody who has followed it is way up. Now it has locked in on Bucks vs. Pistons. We can tell you it's leaning over, and it's also generated a very strong against the spread pick, saying one side hits in well over 60 percent of simulations. You can only see that selection at SportsLine. The model is well aware how unbeatable this Bucks team has been when playing in the Fiserv Forum. Their 33-8 record at home was the best in the East, and they had a 60 percent cover rate against-the-spread when playing at home to match it. 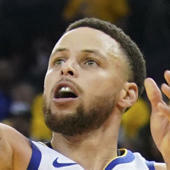 While other top teams like Golden State (43.4 percent), Toronto (45.8 percent), Philadelphia (46.4 percent), and Boston (48.1 percent) struggled against the spread, Milwaukee actually finished with an NBA-best 60.8 percent cover rate. The Bucks were clearly undervalued by Vegas all year, and even in games with a spread between 13.5 and 16.5 points, Milwaukee was able to cover 62.5 percent of the time. They took care of business in four regular season meetings with the Pistons too, posting a 3-1 record against the spread and an average margin of victory of 15 points. The Bucks are locked in, clearly the far superior team, and have had no problem covering huge spreads at other points this season. But just because Milwaukee has been the better team this season doesn't mean it's a lock to cover the Bucks vs. Pistons spread in the NBA Playoffs 2019 on Wednesday. The model is also well aware of what an advantage it is for Detroit to have had two days of rest in between Games 1 and 2. In addition to providing Griffin with extra time to heal, the Pistons are 5-0 against-the-spread in their last five games playing on two days rest. They're also 6-1-1 against-the-spread in their most recent games against teams like the Bucks with a winning percentage of .600 or higher, as sportsbooks seem to be consistently undervaluing them. With two days to recoup, Detroit should have a much better chance of keeping this one competitive. That is especially true if Griffin (knee) suits up and Drummond doesn't get ejected like he did in Game 1. Drummond was on a roll, averaging 18 points, 19 rebounds, and two blocks in the week leading up to the 2019 NBA Playoffs. So who wins Pistons vs. Bucks? And which side of the spread can you bank on in well over 60 percent of simulations? Visit SportsLine now to find out which side of the Pistons vs. Bucks spread you need to jump on, all from the model that has crushed its NBA picks, and find out.